Aquamarines are the birthstone for March and in days of old were said to be the treasure of mermaids. The word aquamarine comes from the Latin words for "water" and "the sea." March is an excellent month for sea creatures, whether real or make-believe, and we have a whole host of books that are a perfect fit! The story of the Mermaid will sound familiar to fans of Goldilocks and the Three Bears, but set off of the coast of Okinawa, Japan. The mermaid, Kiniro, instead finds the seashell house of an octopus family. This beautifully illustrated book gives a new underwater flair to the old classic. 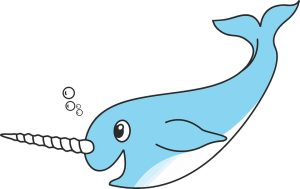 This book tells the story of Kelp, a unicorn from the sea, who is raised by narwhals. He doesn't quite fit in. He winds up on land and learns about his true identity. Rainbow Fish is proud of his beautiful scales, but he won't share! This classic tale shows the result of being selfish, and that being kind will lead to great friendships. 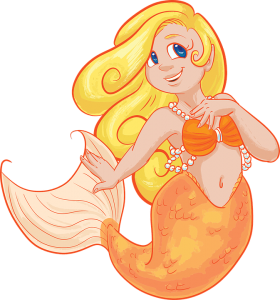 Minnow, a young and inquisitive mermaid, finds a human shoe and wonders what it could be. She goes up to the surface to discover the truth.